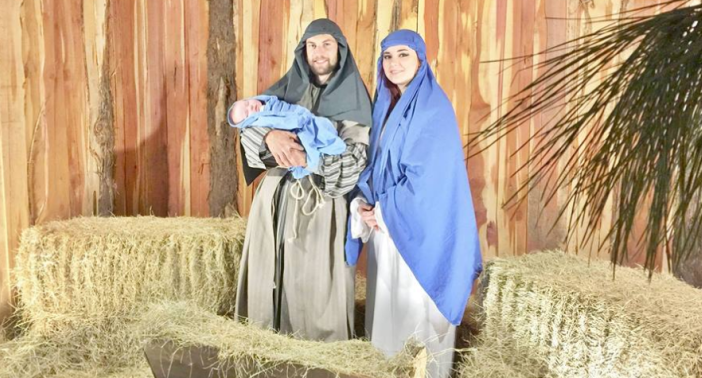 Celebrate the season with our friends at First Assembly of God Church on 7th Street and their drive-thru LIVE nativity on Friday, December 8 from 7 pm to 9 pm and Saturday, December 9 from 6 pm to 9 pm located at 3401 West 7th Street in Texarkana Texas. There are special instructions to make sure there is a smooth and safe flow of traffic, and there is shuttle service from the Kmart Parking lot on W. 7th Street, and all free to the public. Come join us for our Fourth Annual Drive Thru LIVE nativity and be reminded of the true reason for this holiday season. There will be over 100 people in costume bringing alive the story of Jesus’ birth! Your journey will begin before you even enter the parking lot as you will be able to tune in to a Specialized Radio Broadcast. Upon entry into the grounds, you will be greeted with Hot Chocolate (candy canes for the little ones). You will see animals: Sheep, Cows, Mules, Goats, CAMELS & more. You will be required to take a census & pass your gold coin to the Roman Soldiers in order to gain entrance into the City of Bethlehem. When you drive through the Bethlehem Marketplace, you will feel as if you have stepped back into the pages of the Bible. Your Journey to Jesus will culminate with an awe inspiring scene of our Savior’s Birth. All of this is possible without leaving the comfort of your vehicle. This event is open to the public and FREE for everyone! – There will be two lanes of traffic driving through the nativity instead of a single file line. 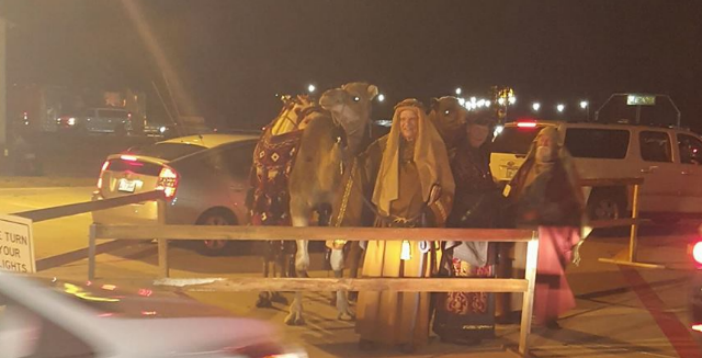 ~ If you want to skip to the front of the line, we will offer a shuttle service to take you through the nativity. ~ The Fast Pass Shuttle Service will meet in the Kmart parking lot and load up riders. Then we will shuttle the riders to the front of the line. Once the nativity route is complete, the riders will be returned to their vehicles at the pickup location. ~ Fast Pass Shuttle riders will still get hot chocolate & every other experience of the nativity. ~ We are also advertising that 8 passenger vans & shuttle buses will be allowed to “fast pass” to the front of the line as well. Our goal with these changes is to be able to reach as many people as possible & reduce the wait times. We are trying to encourage more carpooling, therefore less cars & shorter wait times. There are other exciting changes coming as well, so please save the date! 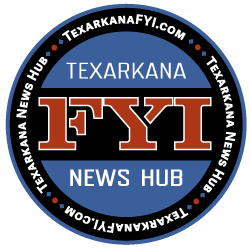 First Assembly of God is blessed to be able to give back to the Texarkana and surrounding area.